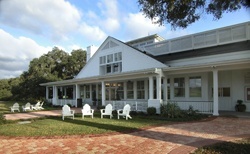 SouthWood includes a low country style clubhouse that sets the tone for the club’s golf experience. The clubhouse is a magnificent 7,200-square foot building with a wrap around porch featuring views of the 9th green and 18th green. The clubhouse houses a restaurant, fully stocked Golf Shop, the SouthWood Room (which is available for rental), locker rooms, and staff offices. The dining room seats 100 guests and is balanced by a monumental cherry and granite fireplace and a handsome bar. The interior has vaulted ceilings with exposed structure and full height windows providing an abundance of natural light and openness. 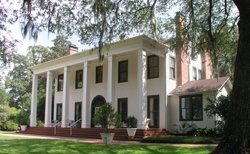 Rich in history and originally built in 1865, the SouthWood House is newly restored to resemble its original and elegant historical appearance. Nestled among acres of rolling hills, majestic oaks, and native flowering trees, the charming manor is now a great backdrop to have an event of any type. Whether it is a corporate party, wedding, holiday gathering, or luncheon, The SouthWood House is a venue that will be a great showcase to any special occasion. 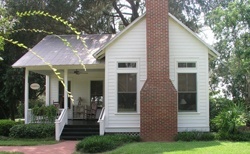 Quaint cottages tucked amidst beautiful live oaks provide a charming setting for an overnight getaway or accommodations for your guests. Relaxing in your own private cottage on the grounds behind the historic SouthWoods House is the perfect ending to any day. A variety of amenities and packages are available to fit your needs. To schedule a viewing of the SouthWood House for your next special event, or to book accommodations at the SouthWood Cottages please call 850.942.4653, ext 0.